When you become an EEC-Safe Electricity member, your job becomes easier — and your consumers become more knowledgeable! From the award‐winning Safe Electricity® materials to numerous energy efficiency and youth resources, a wealth of communication tools awaits you. Get a quote Membership features Who's a member? Utility membership cost is very affordable and is generally based on utility size. Our collaborative approach provides each utility member with a powerful multi-media safety and efficiency awareness and education program to add to their own efforts—all at a fraction of the cost to produce these materials independently. Join the hundreds of utilities who actively demonstrate their commitment to consumer education and empowerment through EEC. Membership entitles a utility to receive materials created and distributed throughout the year with timely, targeted safety and efficiency messages. Most utilities say safety is their top priority but few have the time or resources to treat consumer safety the way it should be – and must be – to ensure everyone knows how to stay safe around electricity. Not only is the exposure great, but utility consumers are also friends, neighbors and members of the community, people we want to protect. Safety outreach and education fulfill that responsibility, convey concern about consumer well-being, and build credibility and loyalty while protecting the bottom line. High quality personal stories share experiences learned from a variety of incidents, from residential, farm and contractor contact with utility equipment, to situations like auto accidents and downed power lines, lines down due to storms, pad mount transformers and much more. Presentation length videos of personal stories pair with short videos for use online, radio public service announcements in English and Spanish, articles, print and social media graphics, youth materials and much more. In addition, messages in a variety of media formats address dozens of issues, providing a comprehensive safety communication toolkit. Electrical utility work is vital to everyday life. It may not get a lot of attention until there is a power outage, but it is a prevalent part of our home, school, work, economic, and leisure activities. Those in the industry know the importance of electrical and workplace safety. Many work very closely with electricity—putting their lives on the line. Accidents unfortunately do occur, and they can have deadly and tragic consequences that extend far beyond the job site. A climate of safety must be created in the workplace in order to help prevent such accidents. Increasing electrical safety awareness and knowledge are critical steps, but technical information alone is often too faceless and distant to affect attitudes toward safety. One’s mindset is a big part of being safe on the job. Even if you’ve been doing the work for years, getting reinvigorated about safety helps keep life-saving mindsets, procedures, and technologies in the forefront—giving them the importance they are due. The Energy Education Council and its Safe Electricity program want to help ensure that everyone comes home safe every night. 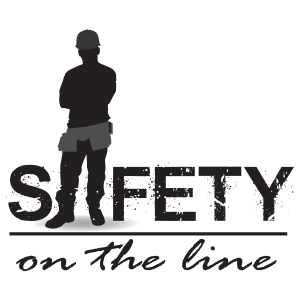 Our utility members have access to attention-getting and award-winning materials for internal safety as part of their Safety on the Line series. Safety on the Line resources help utility workers keep safety in focus with videos that feature real people and real electrical accidents, attention-getting posters, messages, and discussion guides. Each year, a different personal story is highlighted. They provide a great way to learn from actual experiences and to strengthen outlooks on safety. In 2004 Kenny Kieffer, a former lineman, was in an electrical accident while repairing a downed line. He lost his arm in the accident, but he also lost much more—his best friend and co-worker, Rick. Kenny is now Electrical Superintendent & Safety Manager at his utility and wants to help prevent others from having to go through an experience like his. In emergency situations, every second counts. In this video, you hear from experts, including Keith Brooks, who shares his experience as both a firefighter and a lineman. It captures important safety tips for first responders across five scenarios and provides advice for line crews when interacting with first responders. The climate of safety extends beyond the workplace as well to all those served. 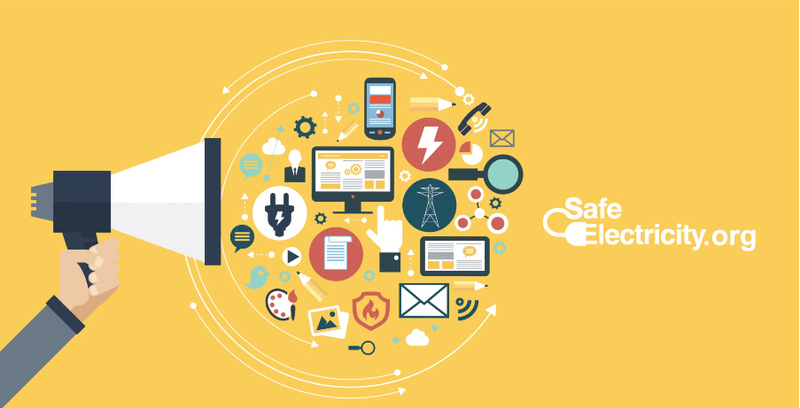 EEC – Safe Electricity provides utility members numerous safety education resources for consumers—from indoor electrical safety to outdoor project safety to tree planting to water recreation safety. Learn more about becoming a member. The payoff in safety is always worth the time invested. Staying safe is a continual process—because it only takes one distracted, unsafe second to lose your life. Utility professionals work closely with first responders when it comes to severe weather events, fires, and accidents involving electricity. It is important to identify respective responsibilities and provide important electrical safety education and reminders to all those involved. Resources include videos, articles, posters, social media images, handouts and more. First in Line: First Responder Safety video: In emergencies, every second counts. In this video, you hear from experts, including Keith Brooks, who shares his experience as both a firefighter and a lineman. It captures important safety tips for first responders across five scenarios in which responders are likely to encounter utility equipment. It helps responders understand while the utility must be called and address electrical equipment directly. , and provides advice for line crews when interacting with first responders.